Description: Ante Dominum. 3st at BP2006 in 64k compo. anyway, its interesting to see. As usual i rewrite FMOD on SDL_Mixer, add window/fullscreen modes and alt. coincide nicely, why not release this here as well? It's not as "entertaining"
have made, but I think it contains some beautiful visuals. knowledge seems to show that it is so constructed. We simply have to accept it. can hope to understand the universe better." - Just a visualization of the five Platonic objects in classical mathematics. - Arises at least from oscillation in chemical reactions. cube holding the simulation when they meet. in it, but it looks pretty. 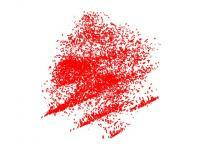 vector fields, varied over time. generations up to six are used. 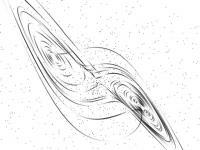 - Particles in three-dimensional vector fields. Pretty. Greetings and love to all of my friends, you know who you are.